Brisbane: W.r. Smith, 1972. Book. Near Fine. Illustrated Boards. 1st Edition. many fascinating photos of this pioneering phase in Queensland aviation. All of our books are in the shop, and are 'real' books. We try to post the same day as the order. Descriptions are conservative. Postage rates may be lower than ABE estimate, please use Ask Bookseller a Question to confirm availability and postage cost, use [Ask Bookseller a Question] option below to confirm availability and get accurate postage quote for this item (the amount quoted is for an 'average' hard-cover book of up to 1kg in weight). Sydney, NSW, Australia: Dreamweaver, 1984. Book. Near Fine. Hardcover. 1st Edition. Large 4 to. a comprehensive text and extensive photographs provide a complete story of Australian aviation from 1919 to 1980. Small inscription All of our books are in the shop, and are 'real' books. We try to post the same day as the order. Descriptions are conservative. Postage rates may be lower than ABE estimate, please use Ask Bookseller a Question to confirm availability and postage cost, use [Ask Bookseller a Question] option below to confirm availability and get accurate postage quote for this item (the amount quoted is for an 'average' hard-cover book of up to 1kg in weight). London: H.M.S.O., 1982. Book. Near Fine. Cloth. First. 8 Vo. All of our books are in the shop, and are 'real' books. We try to post the same day as the order. Descriptions are conservative. Postage rates may be lower than ABE estimate, please use Ask Bookseller a Question to confirm availability and postage cost, use [Ask Bookseller a Question] option below to confirm availability and get accurate postage quote for this item (the amount quoted is for an 'average' hard-cover book of up to 1kg in weight). The Man on the Twenty Dollar Note Sir Charles Kingsford Smith. Sydney: Reed, 1976. Book. Very Good. Brown Cloth. 1st Edition. 8 Vo. 34 photos - some unique 216 pps startingto fox All of our books are in the shop, and are 'real' books. We try to post the same day as the order. Descriptions are conservative. Postage rates may be lower than ABE estimate, please use Ask Bookseller a Question to confirm availability and postage cost, use [Ask Bookseller a Question] option below to confirm availability and get accurate postage quote for this item (the amount quoted is for an 'average' hard-cover book of up to 1kg in weight). London: Simon & Schuster, 1989. Book. Fine. Cloth. 1st Edition. 8 Vo. What happens when a 767 runs out of fuel?? Not for nervous airline passengers. "we have a problem". nice clean copy no inscriptions some marginal foxing. All of our books are in the shop, and are 'real' books. We try to post the same day as the order. Descriptions are conservative. Postage rates may be lower than ABE estimate, please use Ask Bookseller a Question to confirm availability and postage cost, use [Ask Bookseller a Question] option below to confirm availability and get accurate postage quote for this item (the amount quoted is for an 'average' hard-cover book of up to 1kg in weight). USA: The Nautical and Aviation Publishing Co. Of America, 1981. Book. Very Good. Hardcover. First. 6.5'' x 9.5''. 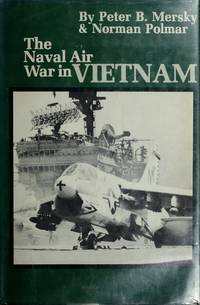 The first full account of naval aviation in action in Vietnam. More than 200 photos, maps, drawings and an illustrated dust jacket. All of our books are in the shop, and are 'real' books. We try to post the same day as the order. Descriptions are conservative. Postage rates may be lower than ABE estimate, please use Ask Bookseller a Question to confirm availability and postage cost, use [Ask Bookseller a Question] option below to confirm availability and get accurate postage quote for this item (the amount quoted is for an 'average' hard-cover book of up to 1kg in weight). London: Robson Lowe, 1948. Book. Good-. Hardcover. Revised Enlarged. 6'' x 8.5''. a significant update of the first edition showing many examples of posatl items that were carried on mail vessels that were the subject of casualty. 35 full page plates All of our books are in the shop, and are 'real' books. We try to post the same day as the order. Descriptions are conservative. Postage rates may be lower than ABE estimate, please use Ask Bookseller a Question to confirm availability and postage cost, use [Ask Bookseller a Question] option below to confirm availability and get accurate postage quote for this item (the amount quoted is for an 'average' hard-cover book of up to 1kg in weight). London: BBC Worlwide Ltd., 1979. Book. Good. Hard Cloth. First. 7.5'' x 10''. Based on the major BBC Television series presented by Julian Pettifer, this account of air travel has many colour and black and white photos and am illustrated dust jacket. All of our books are in the shop, and are 'real' books. We try to post the same day as the order. Descriptions are conservative. Postage rates may be lower than ABE estimate, please use Ask Bookseller a Question to confirm availability and postage cost, use [Ask Bookseller a Question] option below to confirm availability and get accurate postage quote for this item (the amount quoted is for an 'average' hard-cover book of up to 1kg in weight). Sydney, NSW, Australia: Ure Smith Press, 1979. Book. Good. Card Covers. Rep.. 5.5'' x 8.5''. a vivid and symapathetic account of the ambition to become a flyer, absorbing146 pps , index,map, 21 b/w photos All of our books are in the shop, and are 'real' books. We try to post the same day as the order. Descriptions are conservative. Postage rates may be lower than ABE estimate, please use Ask Bookseller a Question to confirm availability and postage cost, use [Ask Bookseller a Question] option below to confirm availability and get accurate postage quote for this item (the amount quoted is for an 'average' hard-cover book of up to 1kg in weight).